Philadelphia’s final FTC meet will be held at Central High School on Saturday, February 8th. WHEREAS, the RoboLancers recognize that these decisions have already led to a reduction in robotics programs in Philadelphia public schools and could lead to their complete eradication. 4. The accommodation and compensation for robotics coaches, including free use of preparation periods and extracurricular pay commensurate with athletics’ coaches. 1. Establish an elected Board of Education in Philadelphia and repeal Act 46 – Philadelphia is the only municipality in the Commonwealth of Pennsylvania which does not have a city-controlled Board of Education. State government has failed to improve Philadelphia public schools since Act 46 was passed in 1998, when control of the district was transferred to the Commonwealth in the form of the School Reform Commission and collective bargaining was threatened. The RoboLancers support State Representative Mark Cohen’s proposal to establish an elected Board of Education in Philadelphia. 2. Establish Fair Funding Legislation – There is extreme inequity in the per-pupil funding in the Commonwealth of Pennsylvania. 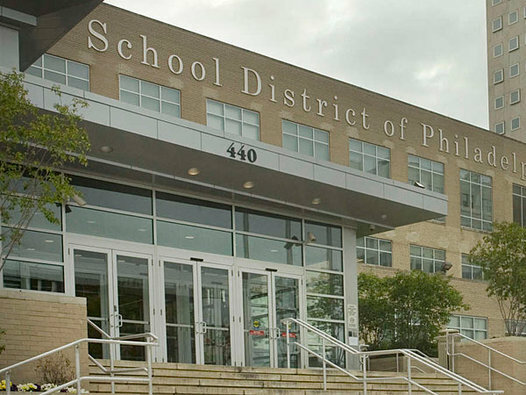 Many suburbs surrounding Philadelphia spend between 150% and 200% more per pupil than SDP schools. It is the job of the state government to assure equitable funding throughout the state to prevent separate and unequal education. The RoboLancers support the efforts of Mayor Michael Nutter and State Representative Jim Roebuck in this regard. a. Land Value Tax Reform – Land Value Tax Reform is a developing movement in the country that has caused economic growth in many municipalities, including Pittsburgh, Altoona, and Harrisburg. Land Value Tax Reform would inspire development of vacant land, shift the tax burden from the middle class, and provide additional resources for education. Philadelphia must take control of its finances in order to alleviate dependence on the Commonwealth of Pennsylvania. The RoboLancers support the Center for the Study of Economics and their proposal for Land Value Tax Reform. b. Tax Gas and Oil Production – Except for an “impact fee” which Governor Corbett promises is not a real tax, Pennsylvania, the only state with huge deposits of oil and gas, does not impose a tax on gas and oil production. Therefore, according to a January 2013 PEW report, Pennsylvania is bringing in far less revenue from drilling than its rivals. Congresswoman Allyson Schwartz, the Democratic frontrunner in the 2014 gubernatorial race, wants to tax natural gas production from the Marcellus Shale at 5%, using the money to invest in education and transportation infrastructure. The RoboLancers support a tax on natural gas production from the Marcellus Shale, using the revenue to invest in education. c. Moratorium on Charter School Expansion – In April 2013, Dr. Hite stated: “It would be irresponsible for the District to endorse charter expansion while asking our principals to do the impossible with school budgets.” Despite a 2010 RAND study and a 2009 CREDO study showing charter schools perform no better on average than traditional public schools and cost taxpayers the same amount per pupil, charter funding in Philadelphia for 2014 will top $700 million and accounts for about 30 percent of the SDP’s operating budget. Charter schools have expanded well beyond their original chartered populations, pulling resources from the SDP as they do. The RoboLancers support a moratorium on charter school expansion. 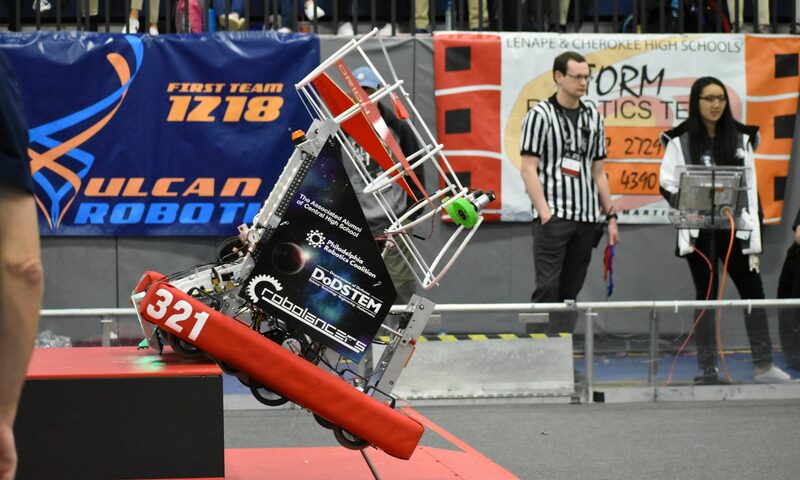 Your support is requested for the RoboLancers’ platform because the alternative is unimaginable both for the present and future students of Philadelphia and indeed all of its citizens. By affixing your signature below you are showing your support of public education, for which the RoboLancers are very grateful. The RoboLancers are a student-operated, adult-mentored robotics program based out of Central High School in Philadelphia, Pennsylvania. The program was founded in 1999 as FIRST Robotics Team #321 and included five students from the school. Since then, the program has evolved into a multi-faceted organization of more than 60 students and 9 adult mentors that – with a $20,000 per year budget – competes in two to three competitions, hosts various STEM training and outreach programs around the city, and has become a shining example of what students in a struggling urban setting can do if given the opportunity. The RoboLancers received three Engineering Inspiration awards last year for their work inspiring students to enter STEM fields. They also traveled to the FIRST World Championships for the first time in 2013. The RoboLancers provide students with a complete immersion in STEM problem solving. Students are given hands-on engineering experience as they work in teams to solve electrical, mechanical, and programming problems. Students work with solid modeling programs, programming languages, web design software, and control systems. The students themselves then use this gained knowledge to inspire other students in Philadelphia to become interested in STEM fields through various school and community events; including hosting the Philly Robotics Expo, mentoring at FIRST Tech Challenge (FTC) and FIRST Lego League (FLL) events, building robots for theater groups, participating in a documentary about high school robotics teams, and demonstrating their robots at district schools and STEM awareness events. BY SIGNING THIS FORM YOU ARE SUPPORTING OUR PLATFORM. The RoboLancers need your help. There are many stories floating around about how the School District budget problems are going to affect the schools, the students, the community, and the teachers. But there are personal stories in there as well. Stories about good teachers losing their jobs, about students being pushed from a school they love during their senior year, about seniors scared about the college admission process without guidance counselors, about teachers getting pushed into situations they are not best qualified for. Then there is our story. This story is about how a robotics team of 80 students that has won multiple awards for their outreach, teaching Philadelphia students about science, technology, engineering, and mathematics (STEM), that has traveled to international competitions, that raised over $30,000 in one week for a championship in St. Louis, that runs the popular Philly Robotics Expo during Philly Tech Week, and that sends 90% of its seniors on to engineering undergraduate programs, may not exist this year. I am being asked to take a 13% pay cut. All funding for robotics programs including teachers’ salaries have been cut. The district is seeking the power to move teachers from school to school. I am being asked to work a longer work day. We have been left with 1 nurse for 2500 students. All guidance counselors have been laid off, eliminating opportunities for scholarships and making the college application process virtually impossible for my students. I am being asked to switch from Physics to Math, take an additional class, and teach at least three different kinds of classes, all in violation of the current contract and all due to layoffs and budget constraints. I am being asked to sacrifice my preparation periods for school operations. Schools may not open on Sept. 9th. Partial or full union strikes are looming. As coach of the RoboLancers, I work very, very hard. From January through April, I work 60-70 hours a week at school and then countless hours at home prepping for class, grading papers, and fundraising. During the rest of the year, I routinely work 45-60 hours at school. Yet, the District wishes to mandate I have a longer work day, take a pay cut, and work through my preparation periods. I work with my team to raise $20,000 every year to pay for our expenses because the School District gives us absolutely no support. I also work closely with Drexel University and the University of Pennsylvania to help inspire students to go into STEM fields. I go through constant professional development to improve my skills in the classroom and to offer as much as I possibly can to my students. Yet, I am disrespected repeatedly by the Mayor and the Governor. I was not paid for my work with the robotics team last year, just as many club coaches are not paid across the city. I do this work because I care about my city and the kids in it. Yet, Mayor Nutter and Governor Corbett say that I’m not sacrificing enough. Now, with the decisions the School District, the School Reform Commission, and Governor Corbett have made, doing the work that I do with my students and with the City of Philadelphia may be impossible. The School Reform Commission has failed this city and its School District. Ten years of failed policies and decisions have led us to this point, a tipping point, and now this great city has to decide. What kind of school system do you want? Do you want a school system that supports programs like the RoboLancers and experienced teachers who work as hard as I do? Or do you want to undercut our professionals and our kids by moving to a system that underpays inexperienced teachers and sees test results as the ultimate goal? Philadelphia must take back control of its schools from the state. 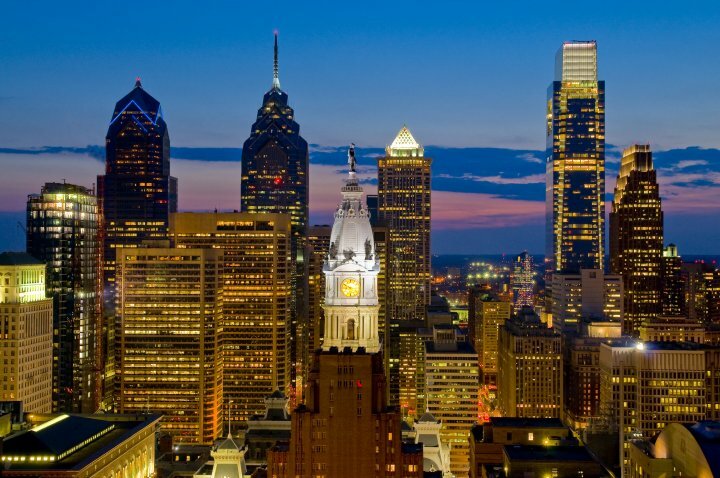 Pennsylvania is benefitting from the move to a charter system, but Philadelphia is not. Take a look at what is happening in Chicago. That is our future if we don’t put our foot down and say enough is enough. Please Philadelphia, I want to teach your kids. I want my robotics program to continue thriving. I want my students to keep getting jobs as freshmen in robotics labs at Drexel. I want to help make this a better city to live in. But I need your help. Contact the Mayor, your council person, the Governor, and tell them to support your students, your schools, and your teachers. Tell them to stop holding our children”s future ransom, to give them every opportunity they deserve. Tell them to give control of the School District back to the city.